I had some more commissioned work to do. Luckily I had a bunch of scissor holders already done ... which someone should be listing them on Etsy too! Then I just had to make some gift card holders. These little scissor holders are great. 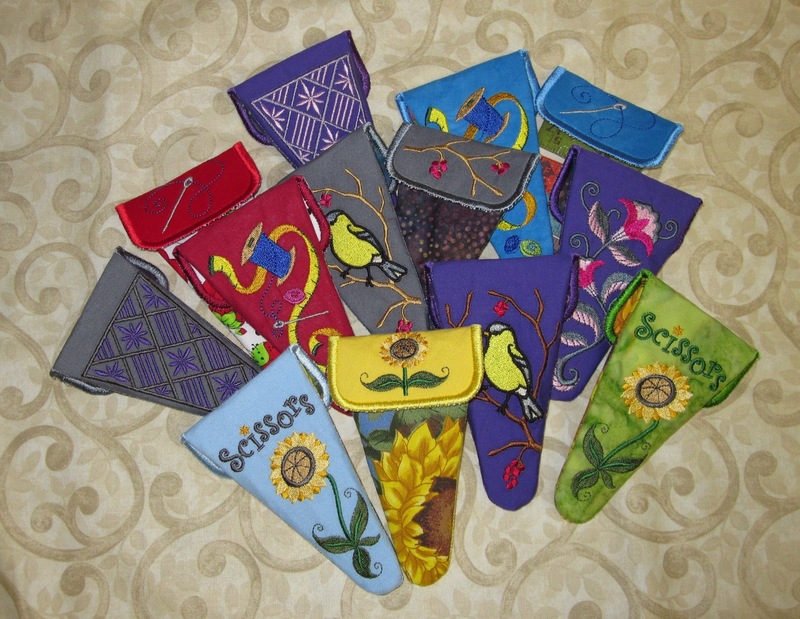 They will fit a pair of scissors measuring up to 3 1/2". 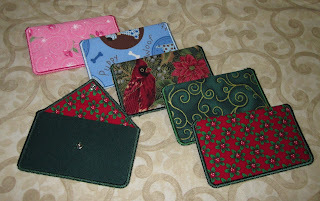 I had fun putting these little gift card holders together. It was difficult deciding which fabrics out of my stash to use. Earlier this week I spent a wonderful afternoon with my friend Wilma at The Grand Skein. We were so busy chatting it up that before we knew it 2 hours had gone by! ...and of course I got sucked into the knitting world! ...which is easy to do with me when it comes to any kind of craft activity! I'll keep you informed on my knitting adventures! The Grand Skein is a wonderful new yarn store that opened up in Alger Heights, right around the corner from me. They have a great assortment of yarn and its fun to see the weaving looms and spinning wheels they have too.